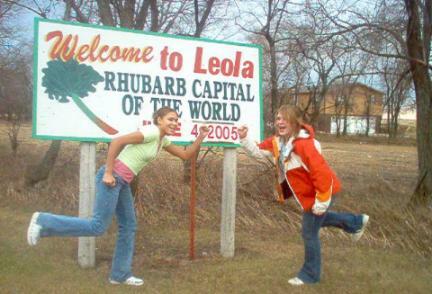 "We live in the 'Rhubarb Capital of the World'. We think it's something to be proud of!" Thanks to Madison and Jordan for phooning and to Nathan for the photo idea.